SUMERIAN KINGS IN PRESENT DAY IRAQ. Out of the many incredible artefacts that have been recovered from sites in Iraq where flourishing Sumerian cities once stood, few have been more intriguing that the Sumerian King List, an ancient manuscript originally recorded in the Sumerian language, listing kings of Sumer (ancient southern Iraq) from Sumerian and neighbouring dynasties, their supposed reign lengths, and the locations of “official” kingship. What makes this artefact so unique is the fact that the list blends apparently mythical pre-dynastic rulers with historical rulers who are known to have existed. The first fragment of this rare and unique text, a 4,000-year-old cuneiform tablet, was found in the early 1900s by German-American scholar Hermann Hilprecht at the site of ancient Nippur and published in 1906. Since Hilprecht’s discovery, at least 18 other exemplars of the king’s list have been found, most of them dating from the second half of the Isin dynasty (c. 2017-1794 BCE.). No two of these documents are identical. However, there is enough common material in all versions of the list to make it clear that they are derived from a single, “ideal” account of Sumerian history. The early list names eight kings with a total of 241,200 years from the time when kingship “descended from heaven” to the time when “the Flood” swept over the land and once more “the kingship was lowered from heaven” after the Flood. After the flood, the King List records kings who ruled for much shorter periods of time. 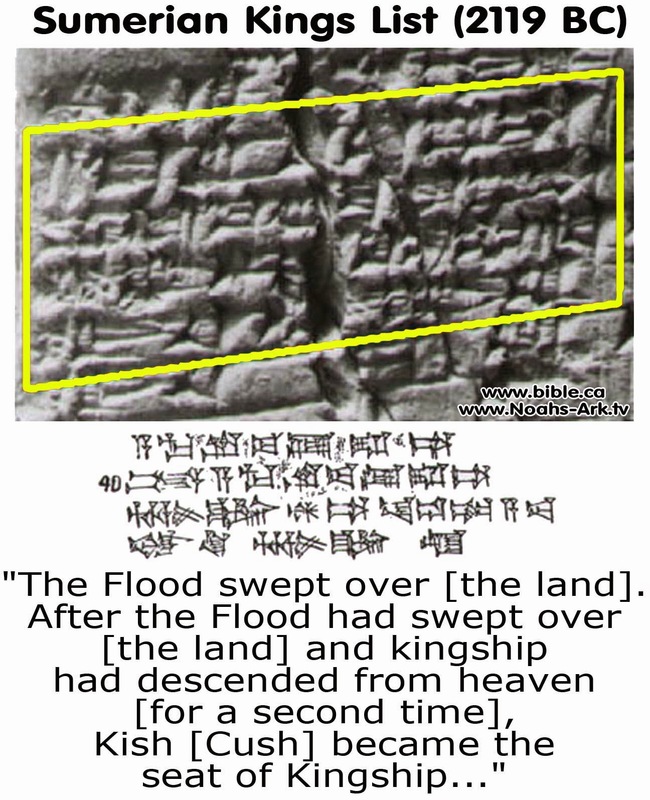 Thus, the Sumerian King List not only documents a great flood early in man’s history, but it also reflects the same pattern of decreasing longevity as found in the Bible – men had extremely long life spans before the flood and much shorter life spans following the flood (Wood, 2003). 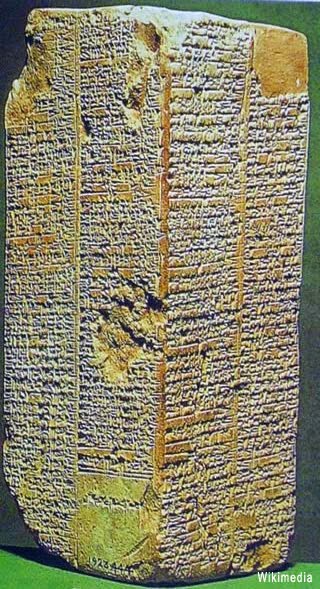 The Sumerian King List truly is a perplexing mystery. Why would the Sumerians combine mythical rulers with actual historical rulers in one document? Why are there so many similarities with Genesis? Why were ancient kings described as ruling for thousands of years? These are just some of the questions that still remain unanswered after more than a century of research. This entry was posted on June 13, 2014 by Sanatan Dharm and Hinduism in HINDUISM SCIENCE and tagged IRAQ, SUMERIA.